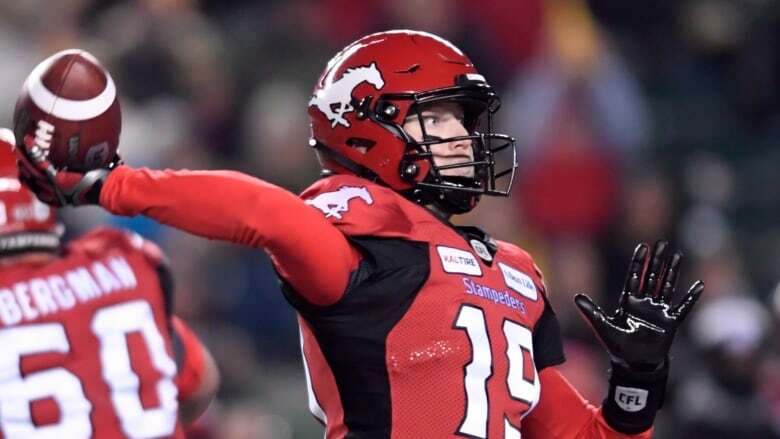 Calgary Stampeders general manager John Hufnagel says he's optimistic he can re-sign quarterback Bo Levi Mitchell. With CFL free agency starting Tuesday, Hufnagel says he's conducting business with the belief Mitchell will be a Stampeder again. Mitchell, 28, led the Stampeders to a Grey Cup victory in 2018 and earned the league's most outstanding player award for the second time in his career. He worked out with several NFL teams in the off-season. Hufnagel says he's less optimistic about re-signing defensive tackle Micah Johnson.